It goes where the pee goes! Pet pee on the carpet: it happens. But topical cleaners only get the surface. 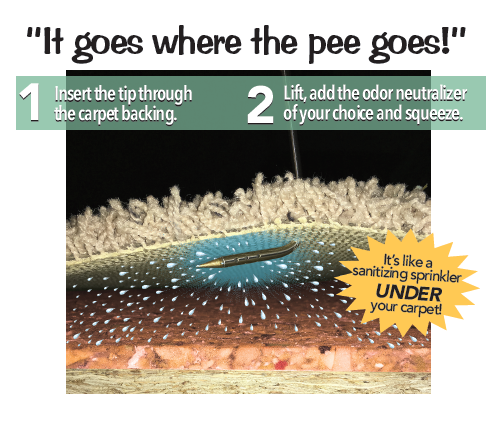 80% of pet odors are beneath the carpet--in the pad--where surface cleaners can never reach. 1. Inject the tip through your carpet. 2. Lift up and spray the cleaner of your choice. It's like a sanitizing sprinkler UNDER your carpet! 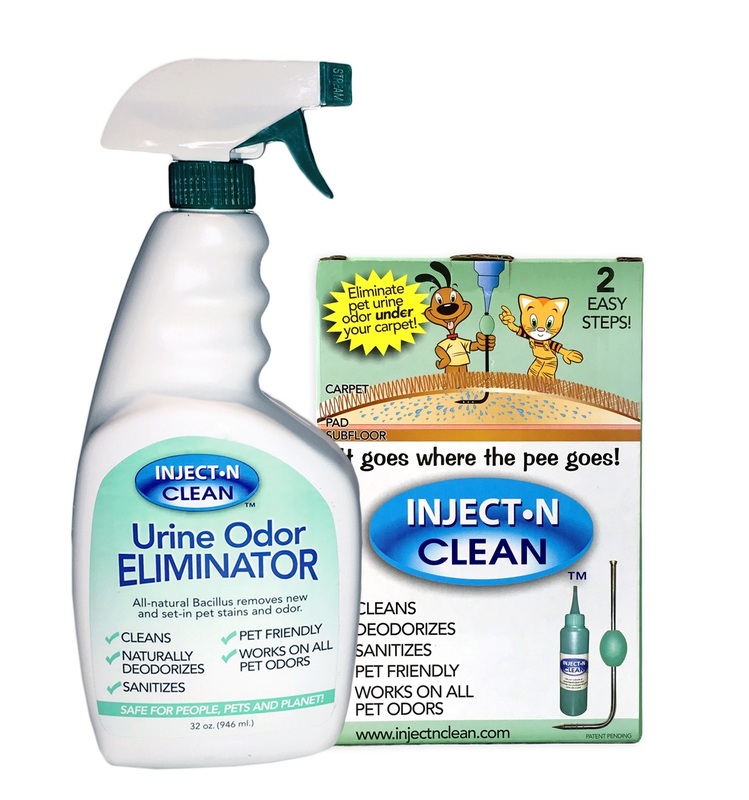 This bundle includes the injector tool, applicator bottle, and a bottle of 32 oz spray. Everything you need to get your carpets good as new!